New Delhi, Feb26: In the early hours of Tuesday, 12 Indian Air Force Mirage-2000 fighter jets, made by Dassault Aviation, the French company who also manufactures the Rafale Medium Multi-Role Combat Aircrafts, entered Pakistani airspace and dropped 1,000-kg laser-guided bombs on Jaish-e-Mohammed terror launch pads across the Line of Control. The Mirage-2000 is undoubtedly one of the Indian Air Force's (IAF) most versatile and deadliest aircraft and it was first commissioned in 1985. Soon after inducting the Mirage, IAF gave it the name – Vajra – meaning lightening thunderbolt in Sanskrit. It was developed by Dassault Aviation and took its first flight in 1978 and was inducted in the French Air Force in 1984. 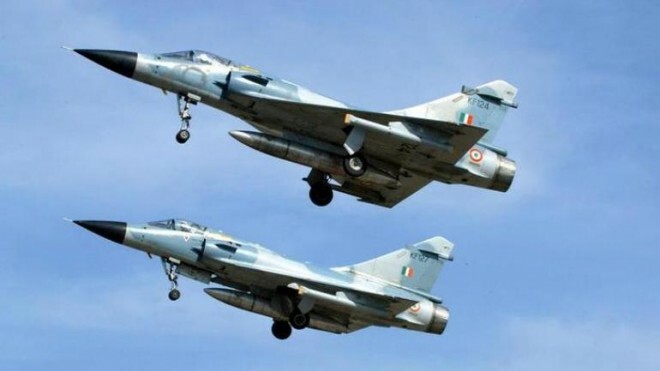 India had placed an initial order of 36 single-seater Mirage-2000 and 4 twin-seater Mirage 2000 in 1982 as an answer to Pakistan buying US-made F-16 fighter jets by Lockheed Martin. The Mirage-2000 played a decisive role in the 1999 war of Kargil and turned it in India’s favor. Seeing the success of the jets, the government placed an additional order of 10 Mirage-2000 planes in 2004, taking the total tally to 50 jets. Then in 2011, a contract was signed to upgrade the existing Mirage-2000 jets to Mirage 2000-5 Mk, increasing the life of the jets that are now ready to serve till 2030. Dassault built an estimated 580 Mirage-2000s over a course of 30 years before replacing it with the Rafale MMC jets. The Mirage-2000 uses a single shaft engine that is light and simple as compared to other fighter jet engines and is called SNECMA M53. The engine was first tested in 1970 and was not made initially for the Mirage jets. In 1974, Dassault Aviation conducted flight tests of the M53-2 version using its Mirage F1E testbeds. The majority of the Mirage 2000 is powered by the SNECMA M53-P2 engine. The Mirage is ideally designed to seat a single fighter pilot but can be made into a twin-seat jet depending on the armed forces' requirements. It has a length of 14.36 meter and a wingspan of 91.3 meters. The plane weighs 7500 kg (dry) and has a total takeoff weight of 17000 kg. The Mirage 2000 has a maximum speed of Mach 2.2 (2336 km) and can travel 1550 km with drop tanks. The flight height is capped at 59000 ft (17km). In comparison, India's other fighter and more advanced fighter jet - Russia made Sukhoi Su30MKI has a speed of 2120 mph (Mach 2), slower than the Mirage-2000 and is heavier too. This gives the Mirage-2000 an advantage in quick operations. Apart from India, Dassault sold the Mirage 2000 to 8 other countries, including the home country of France, Egypt, UAE, Peru, Taiwan, Peru, Greece, and Brazil. While Brazil has retired the Mirage 2000, other counties are still using this jet. A total of 583 Mirage-2000 fighter jets were built over a course of 30 years and its successor Rafael has already been ordered by the IAF.